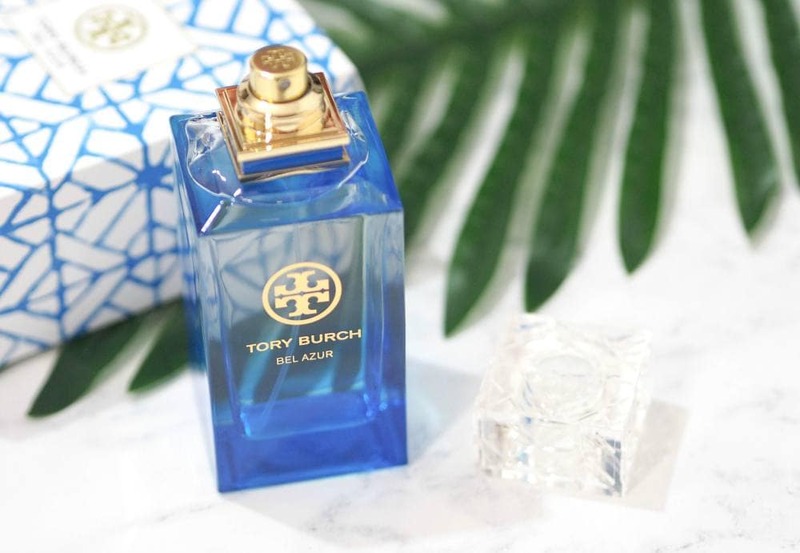 Tory Burch Bel Azur Eau de Parfum Review - Summer in a bottle! 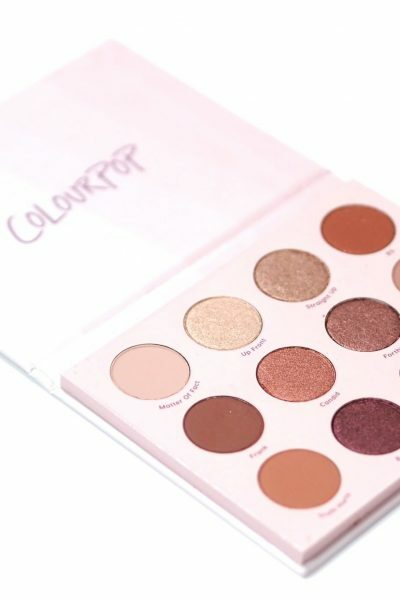 I always find January to be the worst month of the year for beauty following the exciting festive launches in November and December, so I’m always very ready for March when brands begin to launch their Spring and Summer collections. 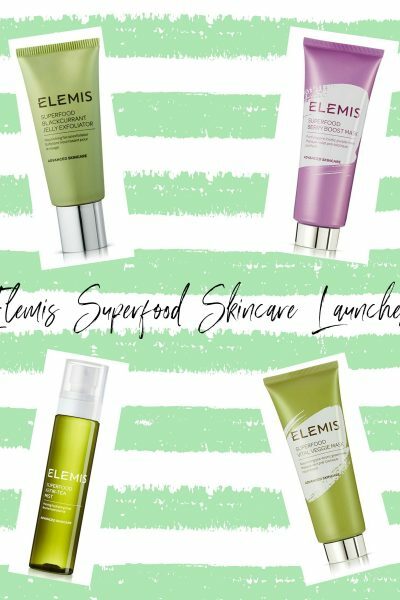 It’s somewhat crazy how early brands launch their collections, especially as we’ve been experiencing snow here in the UK but I’m so ready for Spring and the new fragrance launches always help to get me in the mood for the impending warmer months. The first of this year’s Spring/Summer fragrance launches I’ve had the pleasure of trying is the delightful Tory Burch Bel Azur Eau de Parfum which is available exclusively at House of Fraser and whilst this fragrance launched last year, it’s only just made it’s way to the UK. I’ve seen Tory Burch feature in many fashion hauls on YouTube, but I’ve not really heard very much about their fragrance range even though the fragrance line launched back in 2013. Tory Burch describes Bel Azur as being inspired by the Cote D`Azur on the French Riviera and by Tory`s love of the sea. This refreshing fragrance is said to ‘exude the golden sun shimmering on clear blue waters’ and Bel Azur captures three of Tory’s inspirations; travel, the sea and the colour blue. 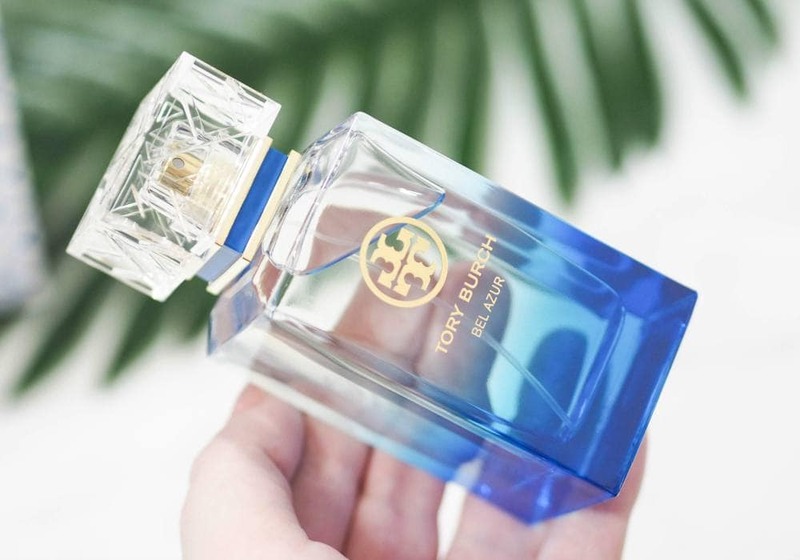 Summer in a bottle has to be one of the most cliché phrases within the beauty world, but the bottle alone truly exudes summer and you can’t help but be transported to a sunny beach when wearing the Tory Burch Bel Azur Eau de Parfum. 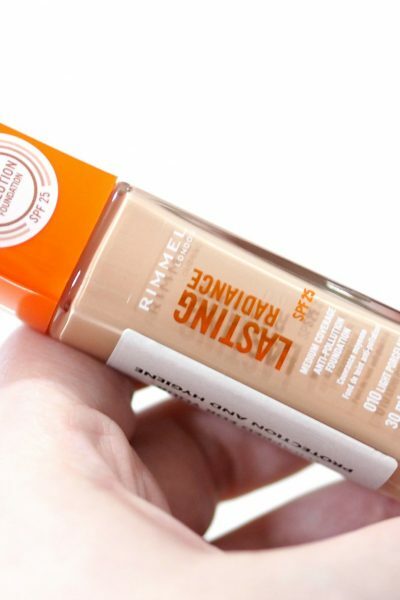 If you enjoy layering your fragrance, House of Fraser also stock the matching Body Lotion and Body Wash so you can really intensify the beautiful scent. I find it really hard to describe Tory Burch Bel Azur in just a couple of words as it’s quite a complex scent. On first spritz, the citrus notes are the most prevalent but the woody and floral notes make it softer and warmer so it is the kind of fragrance you could wear all year round. I don’t own anything remotely like it, but if you like Dolce & Gabanna Light Blue I think you’d really like Bel Azur as they have the same fresh citrus notes although I find Bel Azur to be a lot more long wearing than Light Blue. 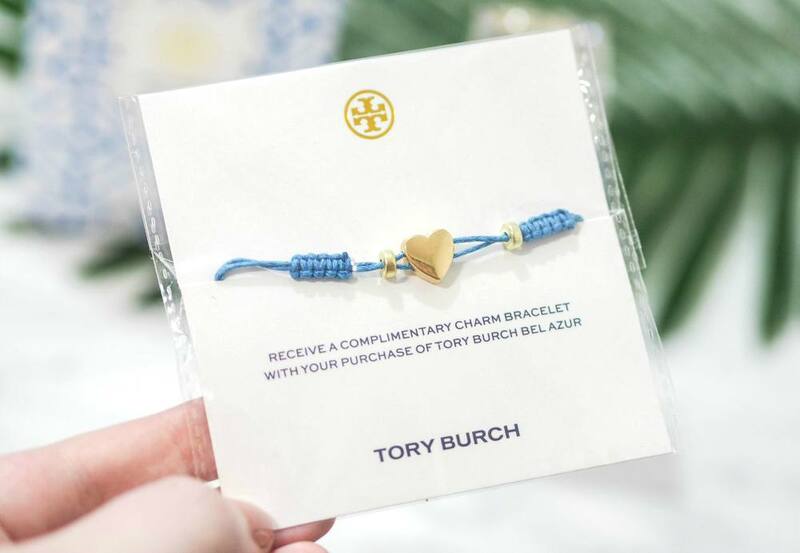 It’s a beautiful scent and one I really recommend trying if you’re passing an House of Fraser, as it might just become your new favourite Spring/Summer scent plus they have an offer where you can get this cute Tory Burch charm bracelet with your purchase of the Tory Burch Bel Azur Eau de Parfum – gotta love a free gift! 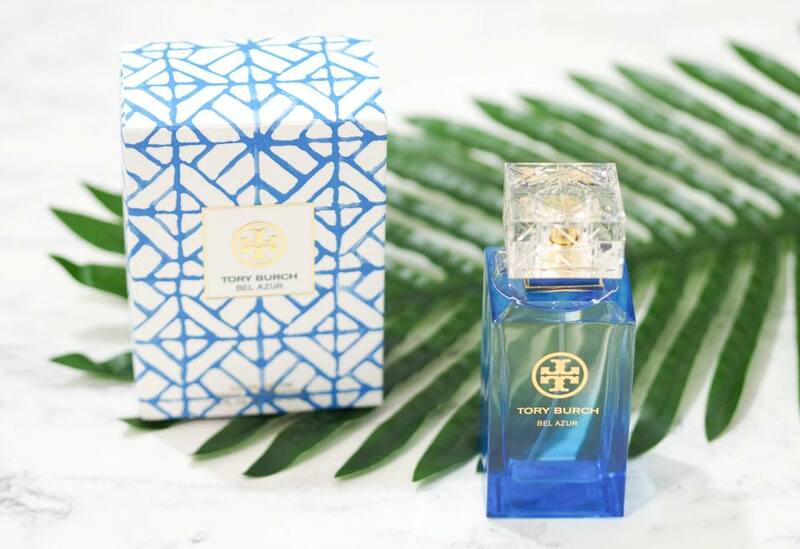 Have you tried any of the Tory Burch fragrances before?